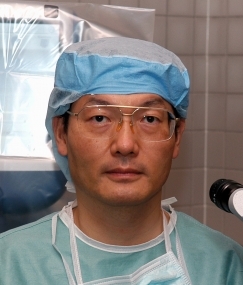 Takayuki Akahoshi, MD, of Tokyo, Japan is one of the leading pioneers in ophthalmology. In addition to completeing more than 7,000 cataract surgeries a year, he has won numerous film-festival awards for his ground breaking techniques. With over 20 patents in his namke, he has established his skill as not only a surgeon but as an innovator as well. His impact is seen all over the world through his life's work and his teaching.